Are you the fan of mini-games? What if you can play it with your friends while texting? Well, you can. Here’s how to Play Games on Messages for iPhone iOS 10 – 11. Apple has changed the way of text messaging, once we only use messaging app for texting. But now we can play games on messages with our friends. Most of us don’t know how to do so. Apple has added a new feature to their latest iOS. You can play mini-games on messages with your friends. Moreover, you can send challenges to your friends and families. We’ve made this tutorial to tell you how you can Play Games on Messages for iPhone. Keep that in mind this feature is available only iOS 10 or higher. The first thing you need to do before start playing a game, you need to download it. Let’s start with how you can download the games on Messages. Open the Message app and select a conversation. You’ll a grey App store icon right next to the text field. Tap on it. You’ll see the following screen and options. Tap on visit store. On the next screen, you’ll be in the app store. All of these apps you’ll be looking at, specially design for Message app. Tap on the app you want to install, same as you normally install an app from App store. Tap on the get button. If you have enabled the Touch ID protection for apps you’ll get a pop-up to verify the install. Once you are through with that, you’ll see downloading will start. In order to play a game on messages, heed the instructions below. Open the message app, select the contact you want to play the game. Tap on the App store icon and select the game you want to play. Tap on start the game. Make your first move and send the request to your friend and wait for his response. That’s all. 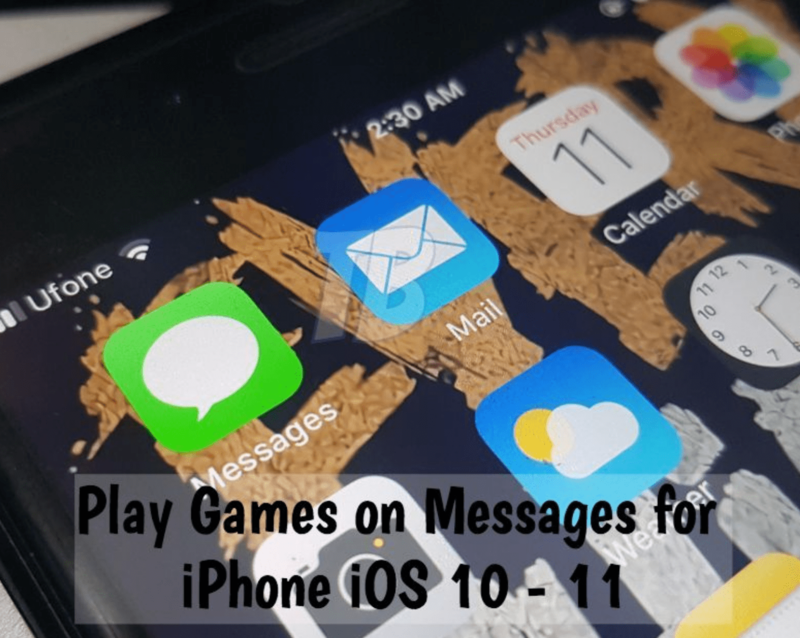 Now you know how you can play Games on Messages for iPhone iOS 10 – 11. Let’s us know if you face any issue while trying our tutorial.